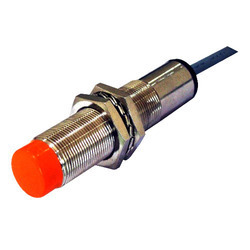 Prominent & Leading Manufacturer from Nashik, we offer capacitive proximity switches. 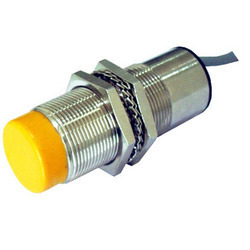 Our organization has gained recognition as a flourishing manufacturer and supplier of Capacitive Proximity Switches. Our provided proximity switch can be used in extreme conditions such as dusty, oily and corrosive environment. Offered proximity switch is used to sense non - metallic material such as plastic, paper & rubber. We offer this proximity switch in various technical specifications and can be custom design in order to meet the diverse requirements of the customers. DETAILS Electronic Switches (I) P. Ltd; offers Capacitive proximity switches which are used to sense non - metallic material such as plastic, paper, rubber, etc. These sensor are non Flush type and it has range adjustment pot. With the support of our adroit professionals, we provide our clients a high quality Capacitive Proximity Switches. This proximity switch is manufactured by our experienced professionals by utilizing high grade raw material and sophisticated technology. Offered proximity switch is used for detecting the presence of nearby object without any physical contact. Besides, high speed automation is possible only with Proximity Switches.